Film maker, Morgan Spurlock, is releasing a follow up to his 2004 movie documentary on McDonald’s, Super-Size Me. 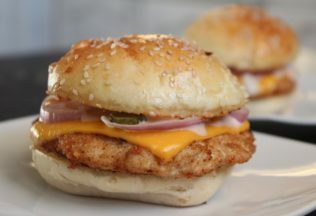 ‘Super-Size Me 2: Holy Chicken!’ will not just focus on McDonald’s this time, instead looking more at the fast food industry as a whole and the marketing techniques used to make fast food appear healthier than it may actually be. The movie sees Spurlock try and open his own chicken fast food outlet so he can gain first-hand insight into the fast food industry. The original Super-Size Me was labelled a box office success in Australia with viewers heading to the movies to watch Spurlock only eat McDonald’s for a month. As a result of the movies’ success, McDonald’s Australia ran advertisements responding to the movie. In the United States, six weeks after the film premiered, McDonald’s axed its supersize options. Super-Size Me 2 premiered at the Tortanto Film Festival last week. An Australian release date is yet to be announced.